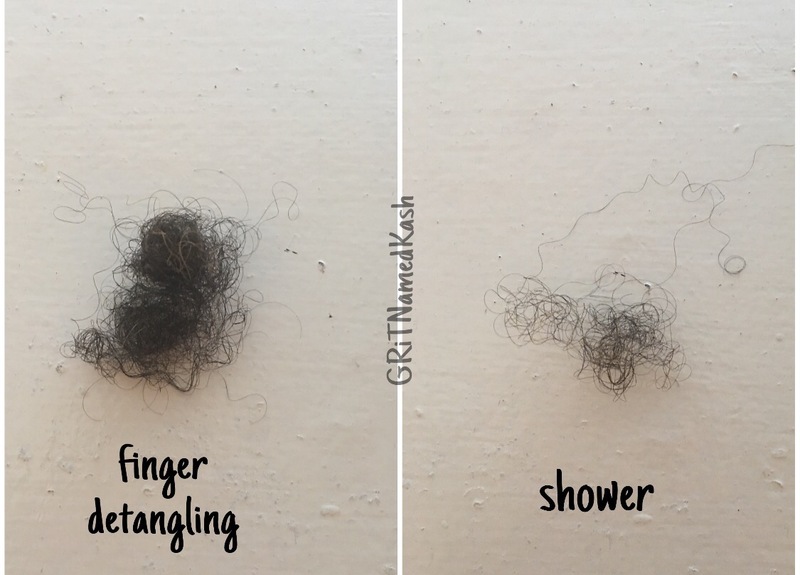 3C Finger Detangling – G.R.i.T. I always find myself in front of the tv every Sunday stuck between marathons of Law & Order and ID on HD. Trying to not let my Sunday go to waste, I decided to detangle my hair. Fun Fact: this was my first time finger detangling my hair. Fact #2, I only did it because I was 37 minutes into the show and I didn’t want to miss anything. On dry hair, I clipped my hair into 4 manageable sections. I prefer dry hair because it maximizes length retention. Hair is stronger when it’s dry. Less knots, less tangles, less breakage. Taking a small amount of coconut oil I started raking my fingers through my hair. Here’s where the patience comes in. You will run into tangles and knots. Where you would normally grab a comb and tear through it, you have to use your fingers and work through the tangle. I think I stopped 3 times due to frustration, boredom and my hair got tired but I didn’t use a comb or a puddle brush. You know that rough raking popping sound you hear when you comb your hair? That’s breakage. You don’t get that with finger detangling. The shedding is also kept to a minimum. Normally I’d have an all of hair the size of a silver dollar. This time, 2 nickel sized balls of hair. And even less while I was showering. I’m going to make an honest effort to finger detangle each time before wash day. I’m still not applying heat to my hair. Hopefully adding this to the my regime will help aide in more length retention. And, If I can sit through an entire season of Law & Order, I can do this right?